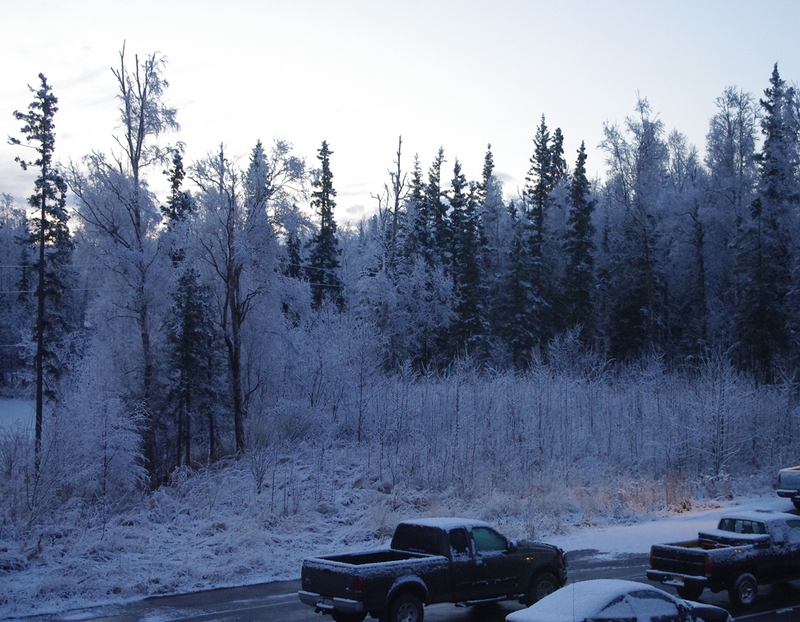 I woke up this morning (October 29, 2010) to find the first significant snowfall of the winter here in Wasilla, Alaska. We had a snowfall a few days ago, but it immediately became warm the next day, and all the snow that was exposed to sunlight melted. This snow, however, looks like it's going to be with us until next April. 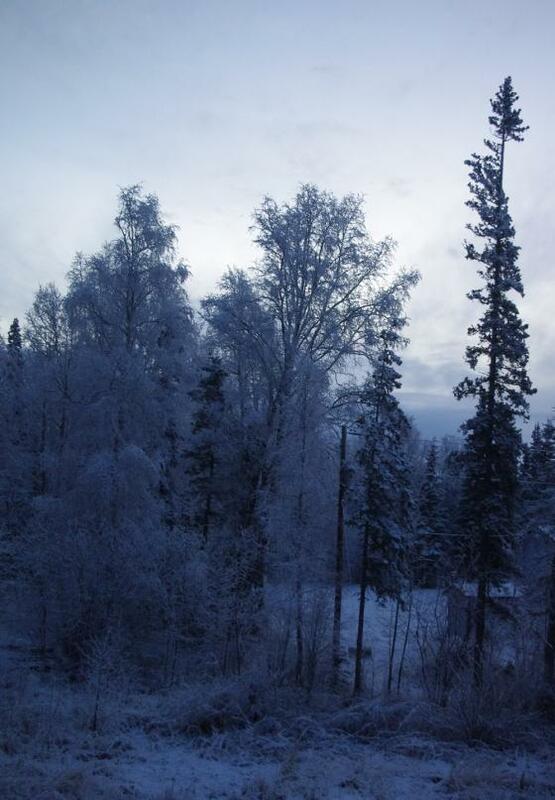 From the comfort of my warm apartment it looks very beautiful. I'm sure I'll find out more when I go out for my usual walk this afternoon. 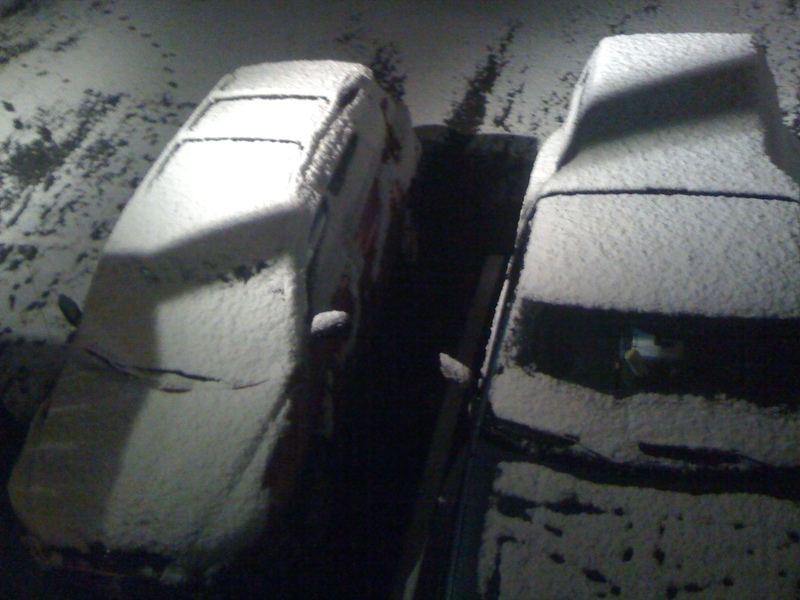 I took the photo of my car last night before going to sleep, and took the other two photos this morning just before 9am.